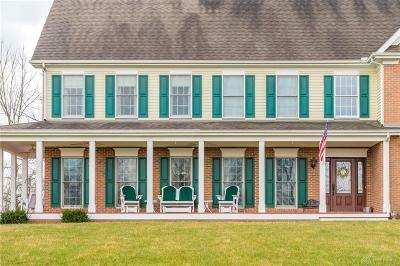 WALK OUT THE BACK DOOR INTO THE GLEN HELEN!!! 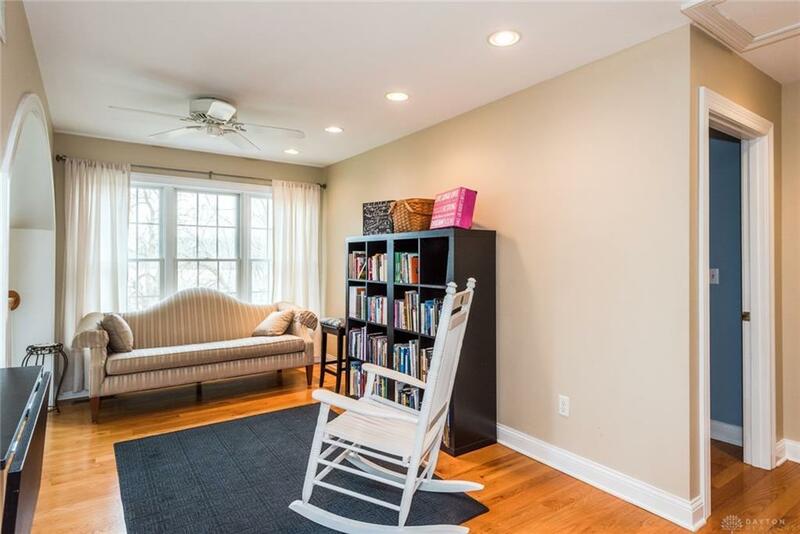 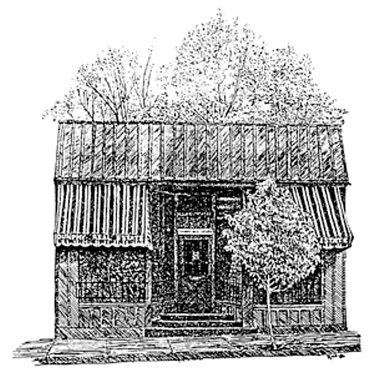 Or, on warm days, sit on the front porch beneath the fans and enjoy a refreshing drink. 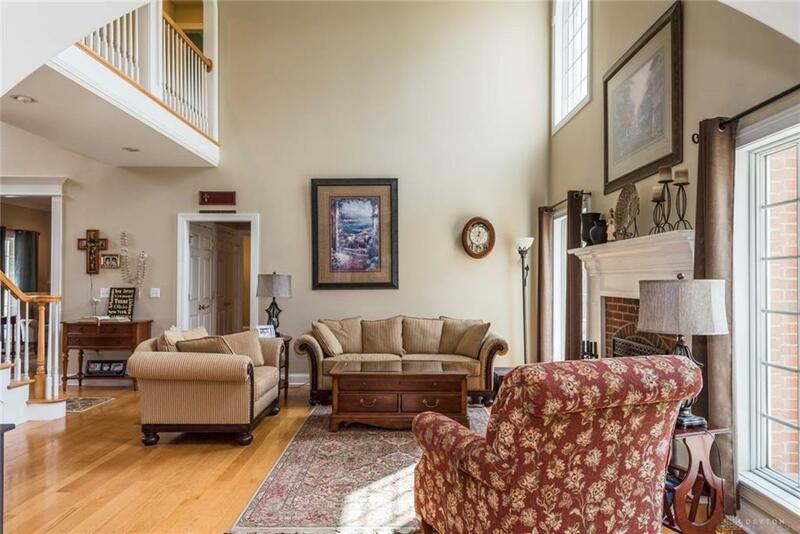 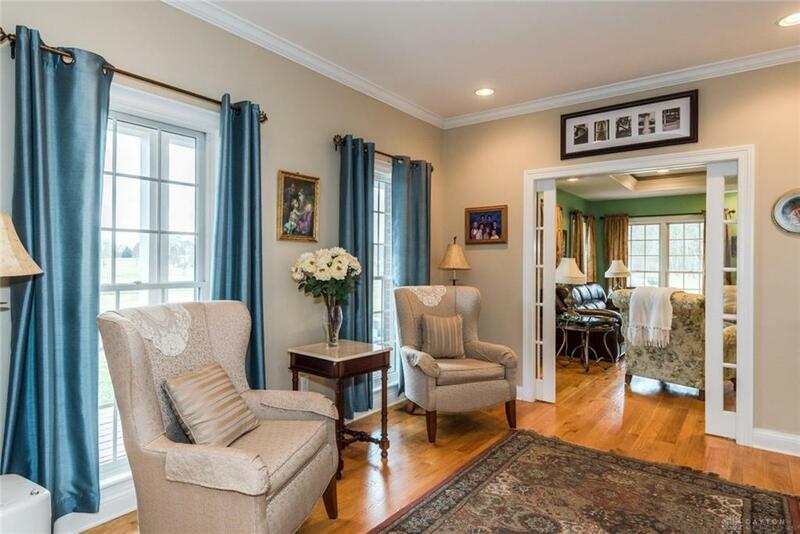 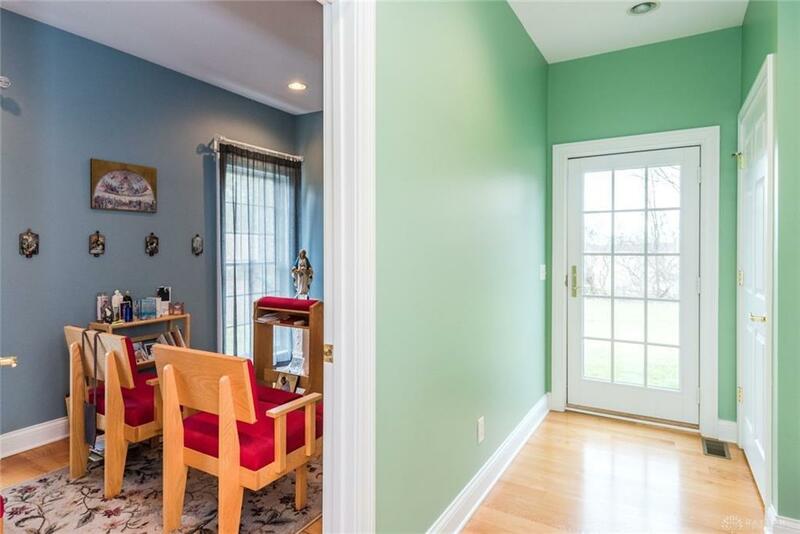 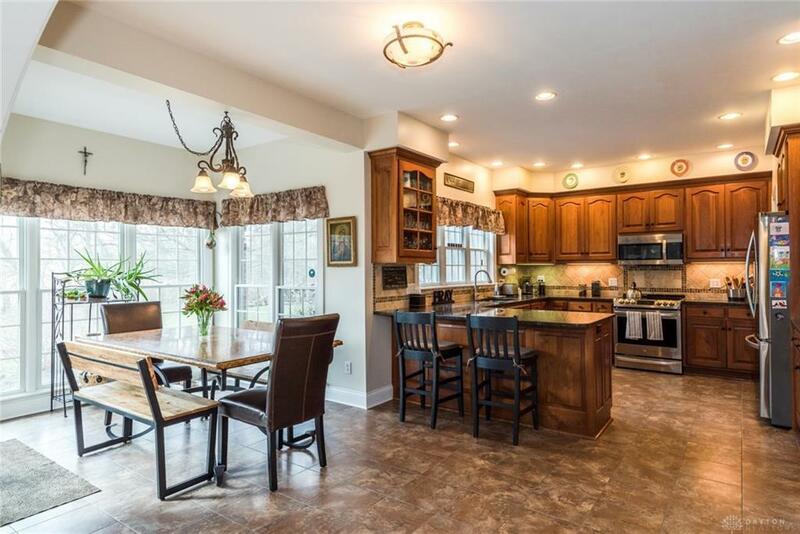 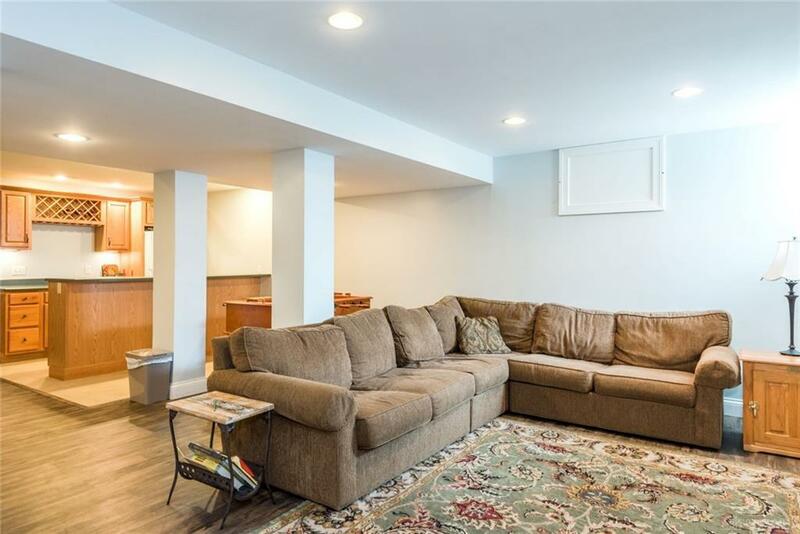 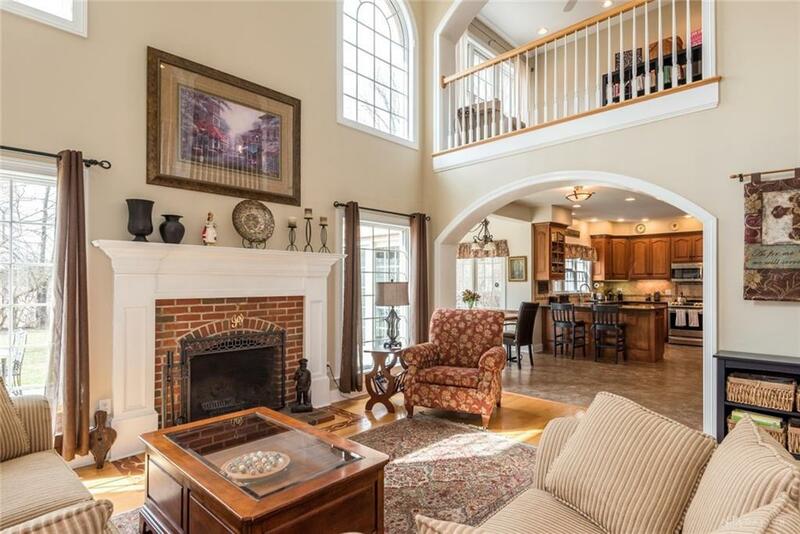 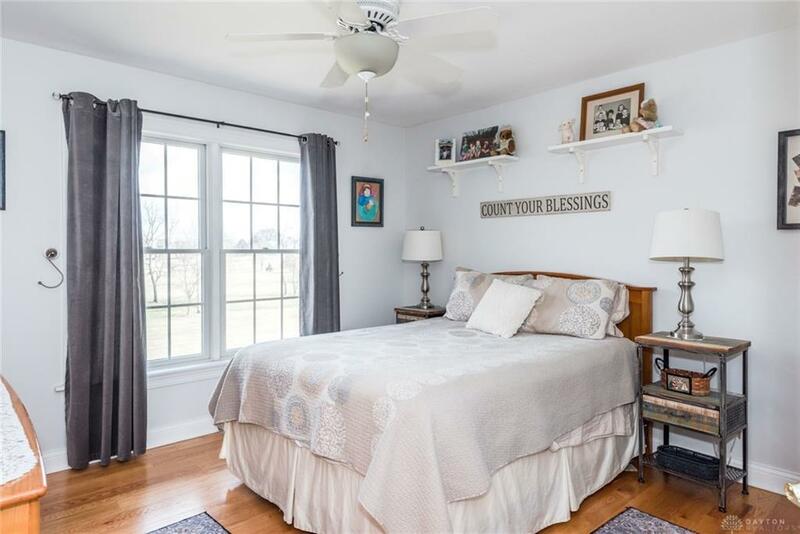 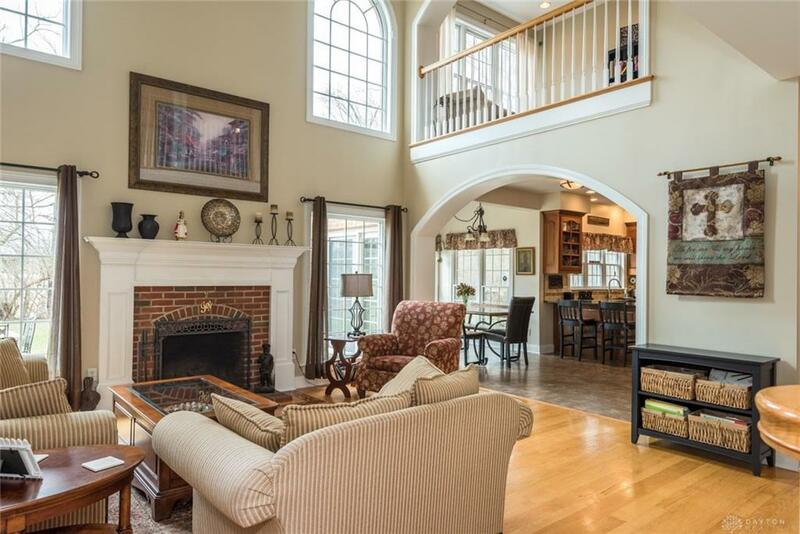 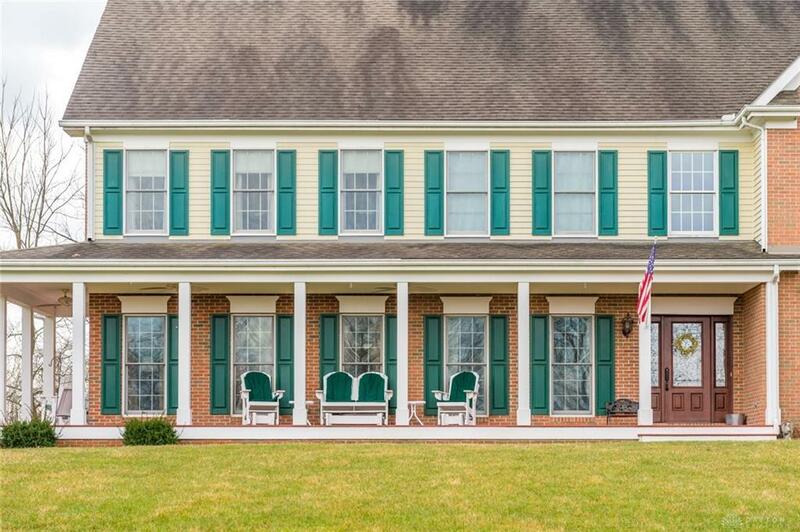 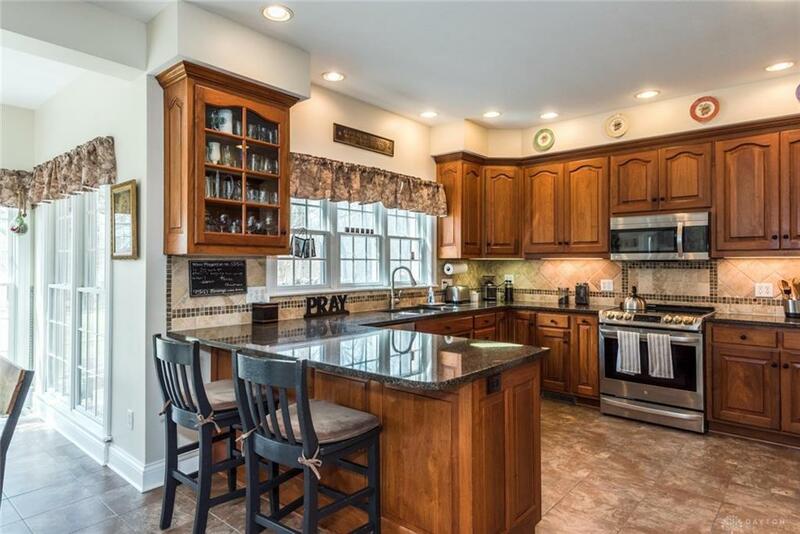 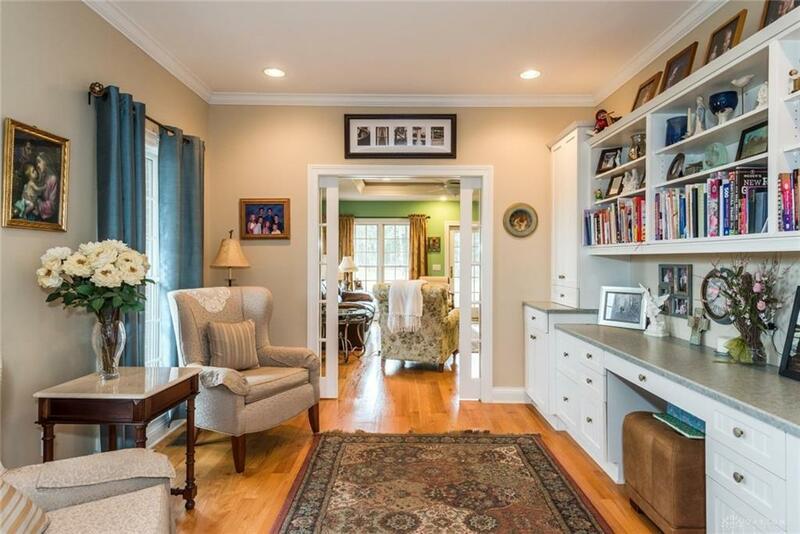 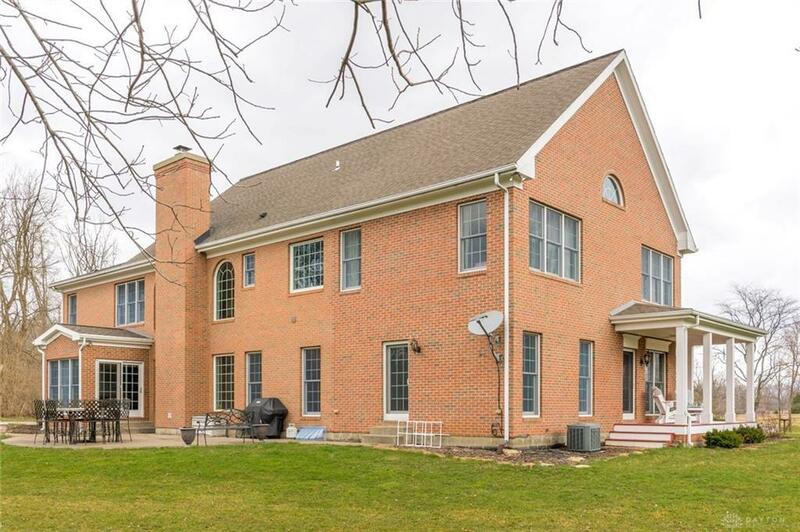 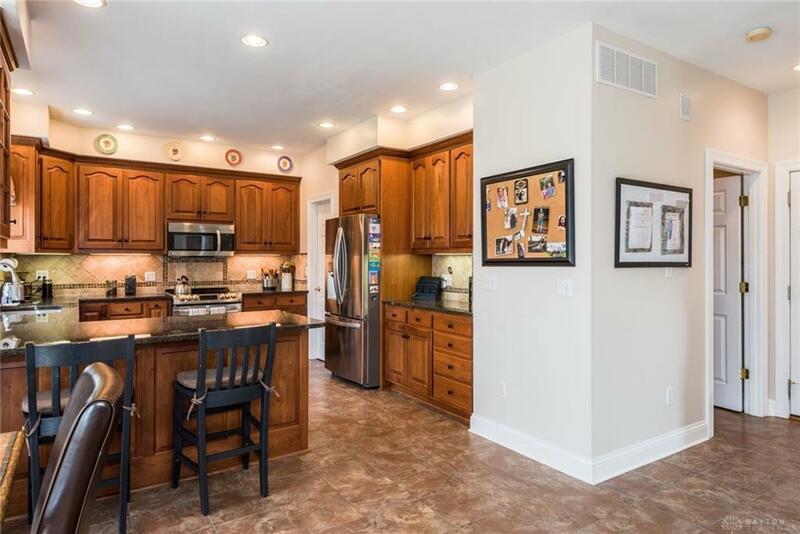 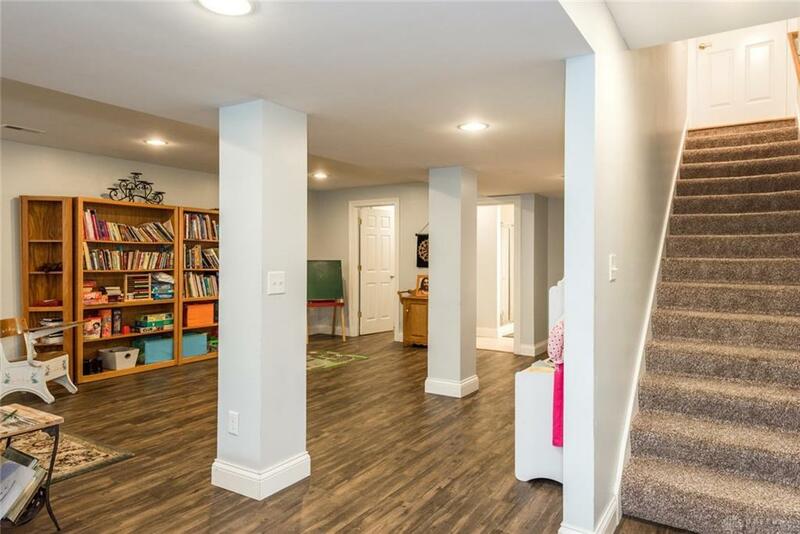 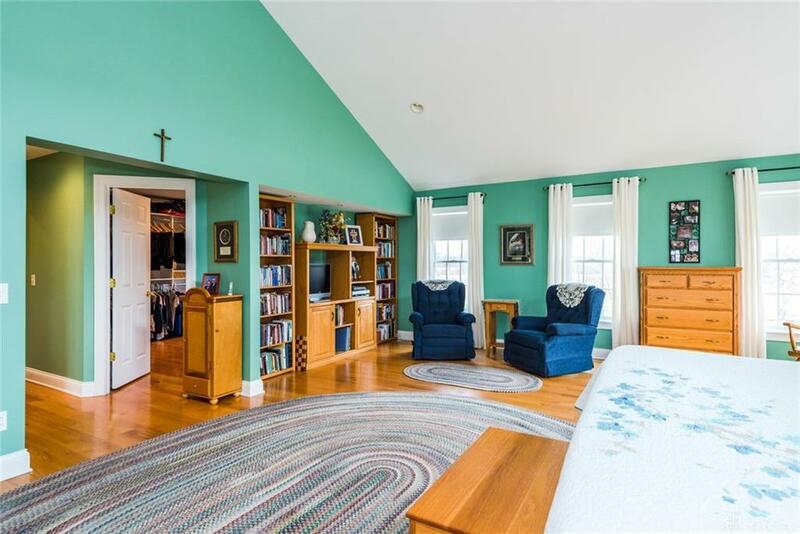 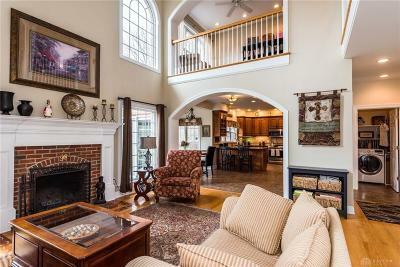 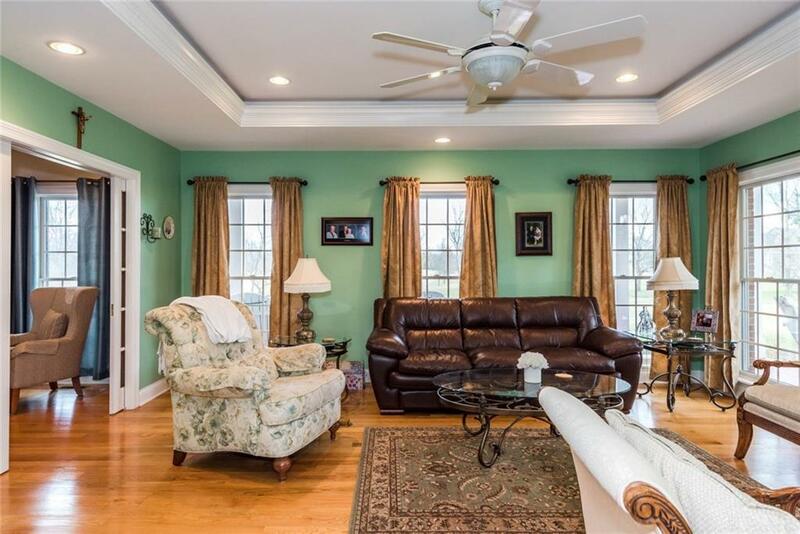 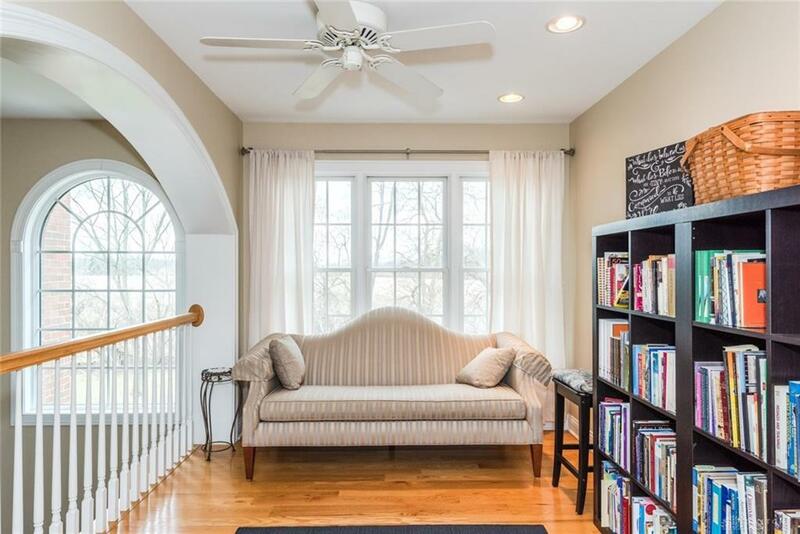 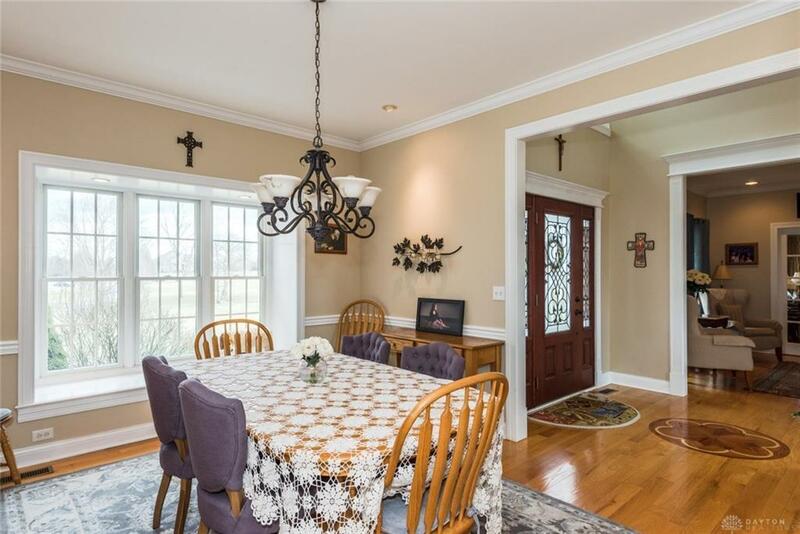 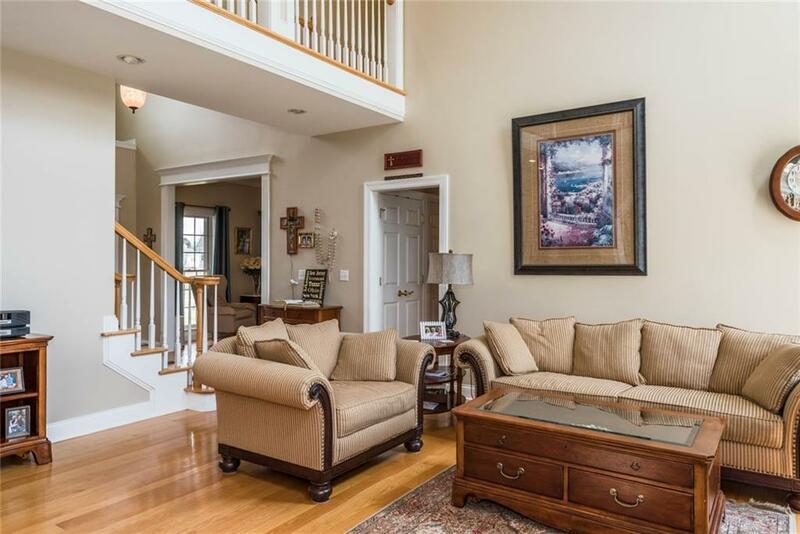 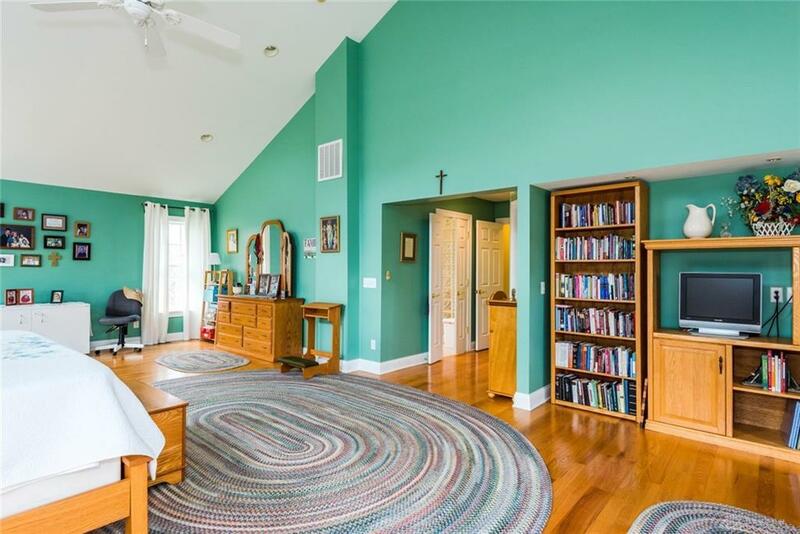 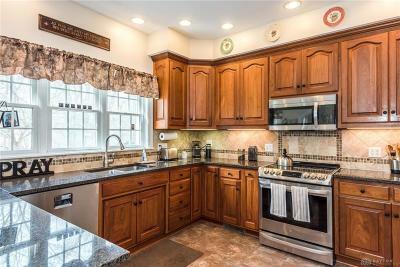 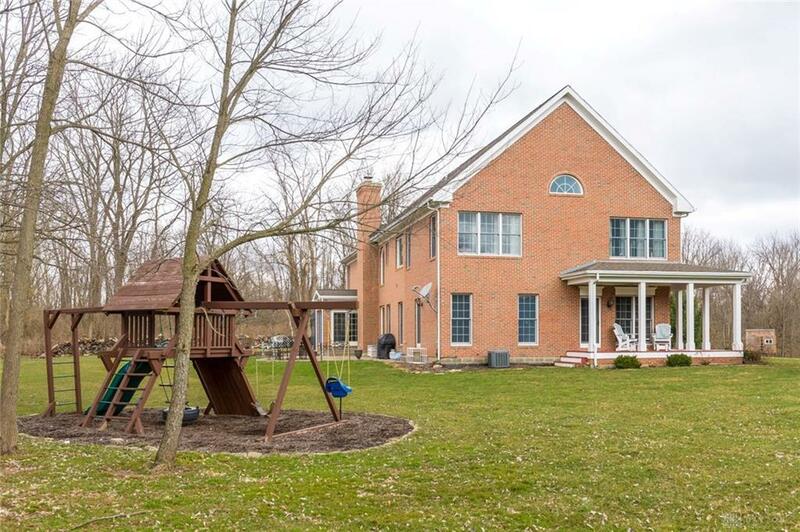 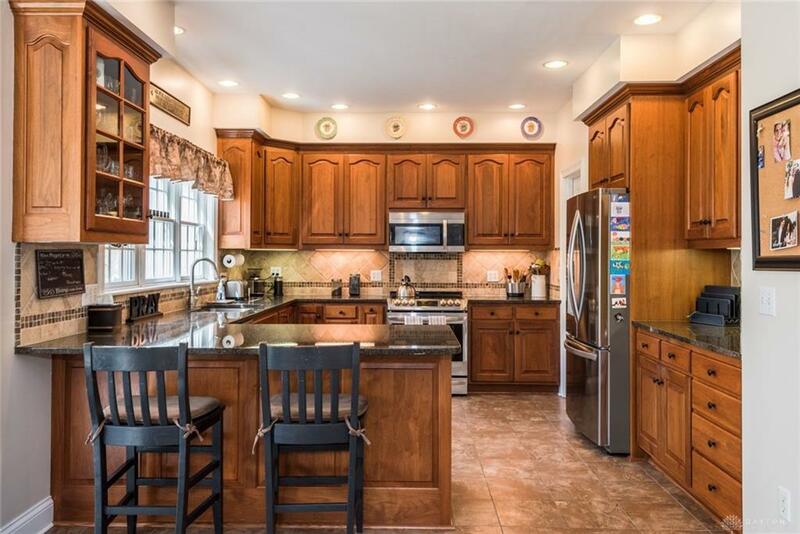 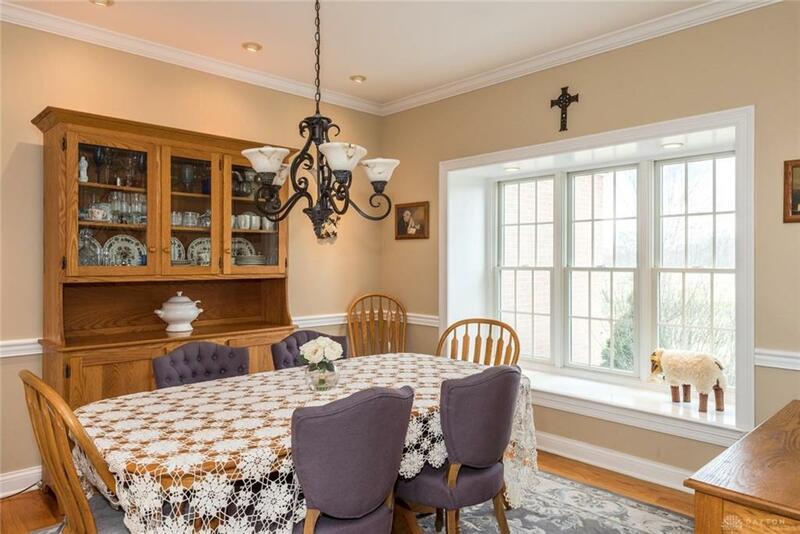 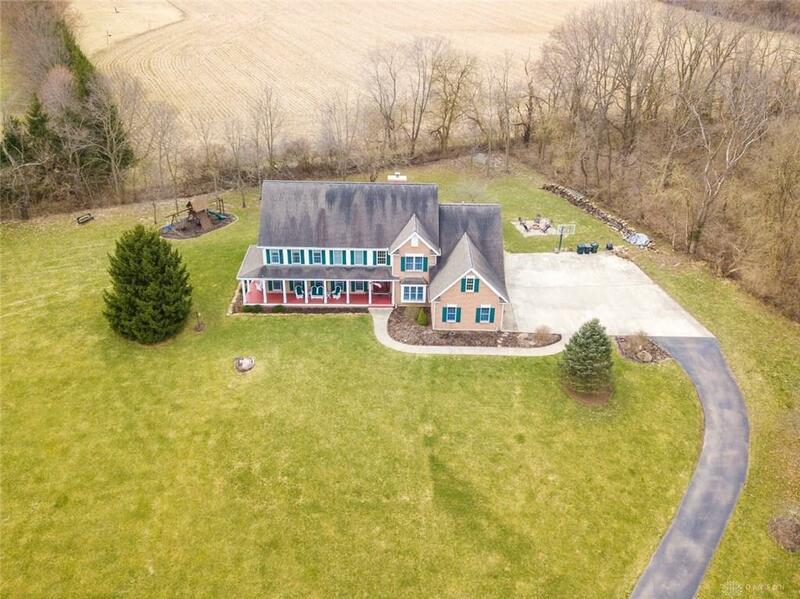 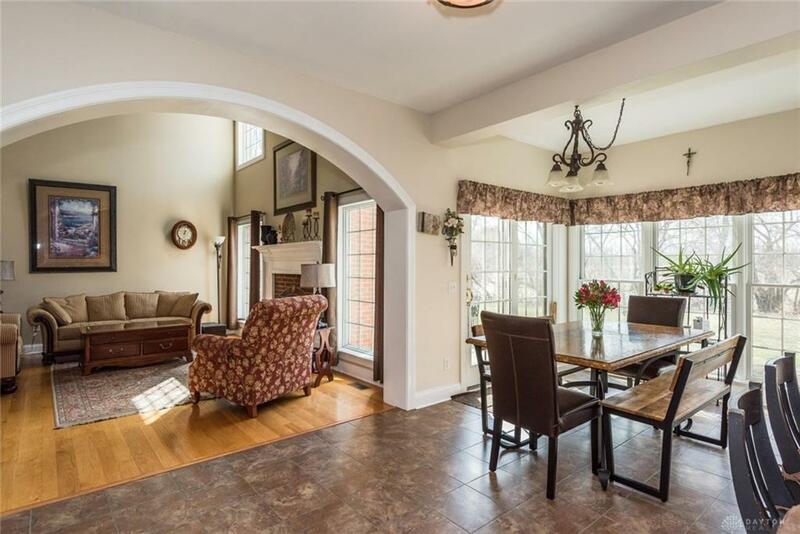 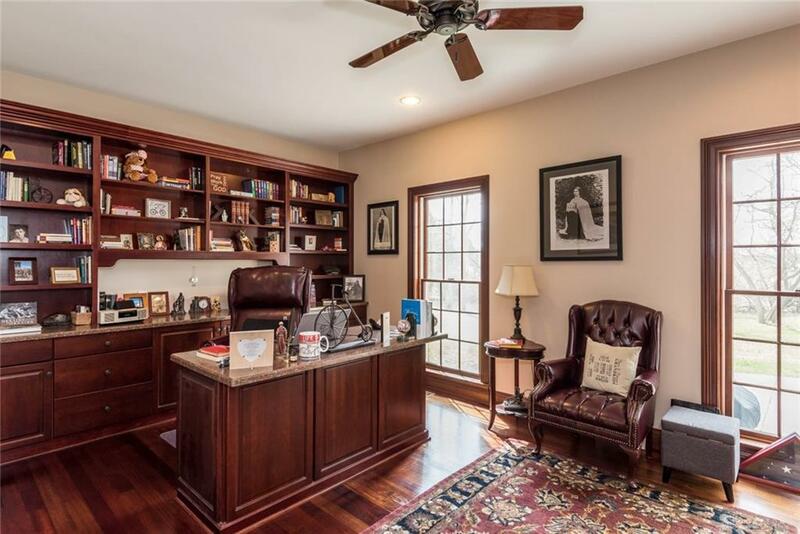 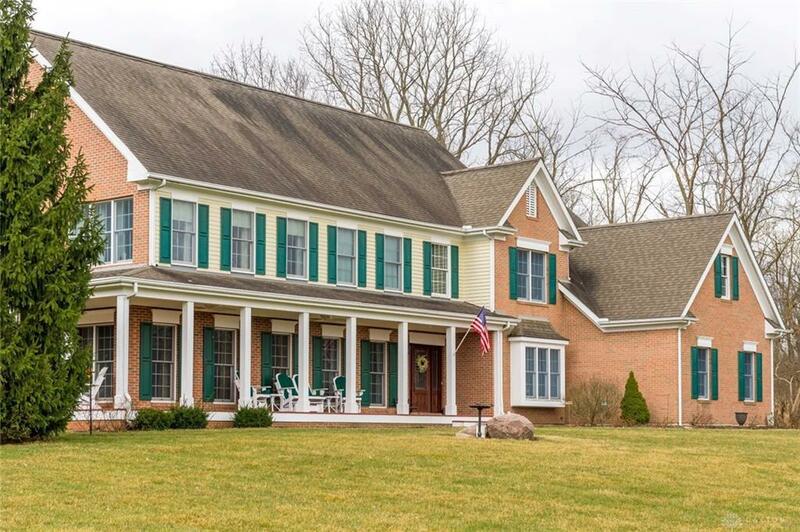 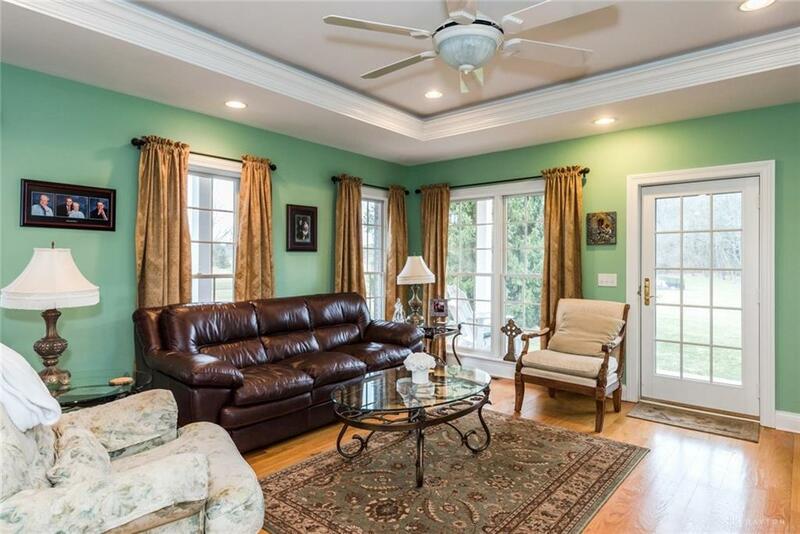 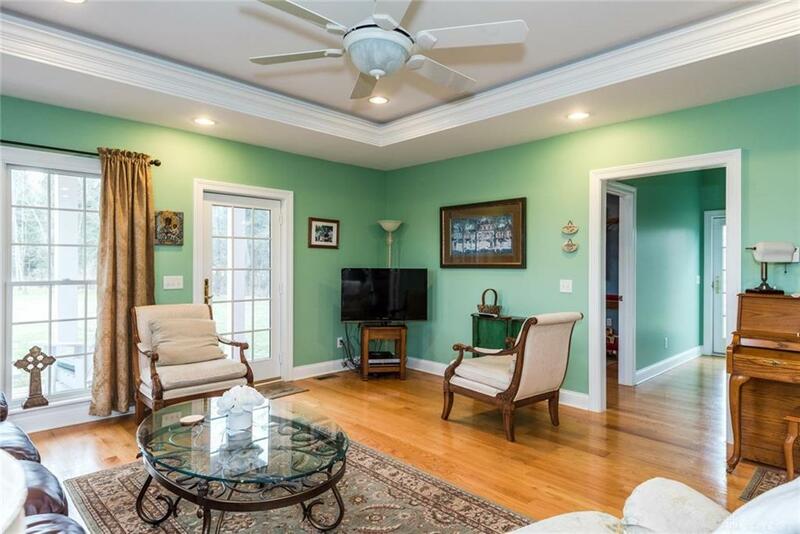 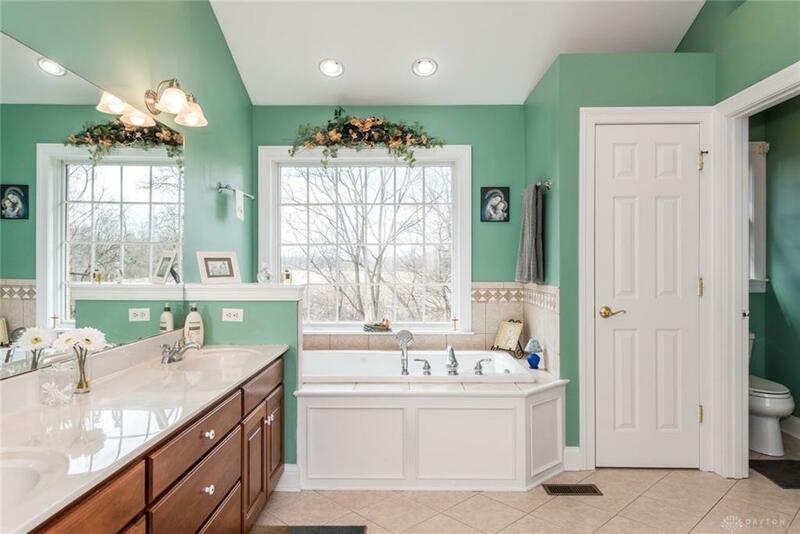 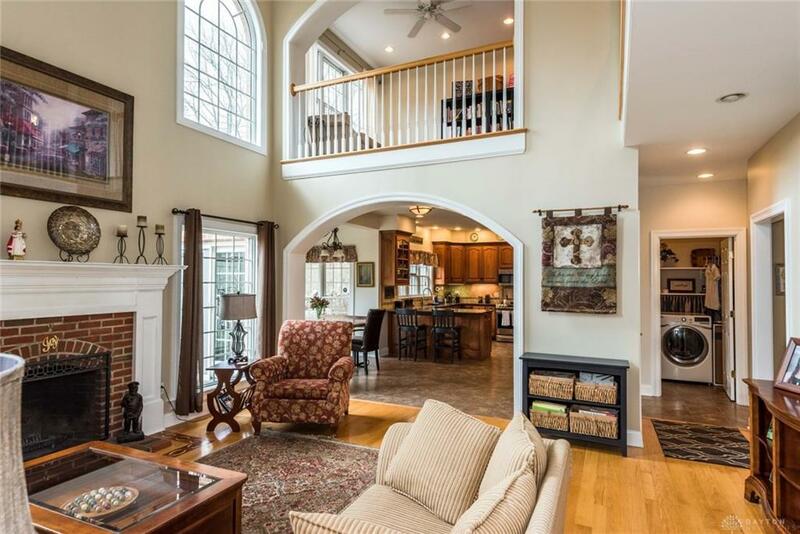 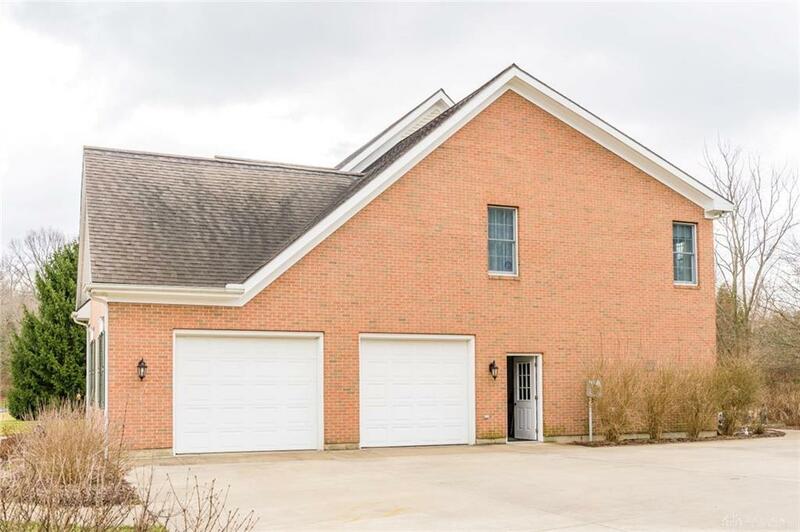 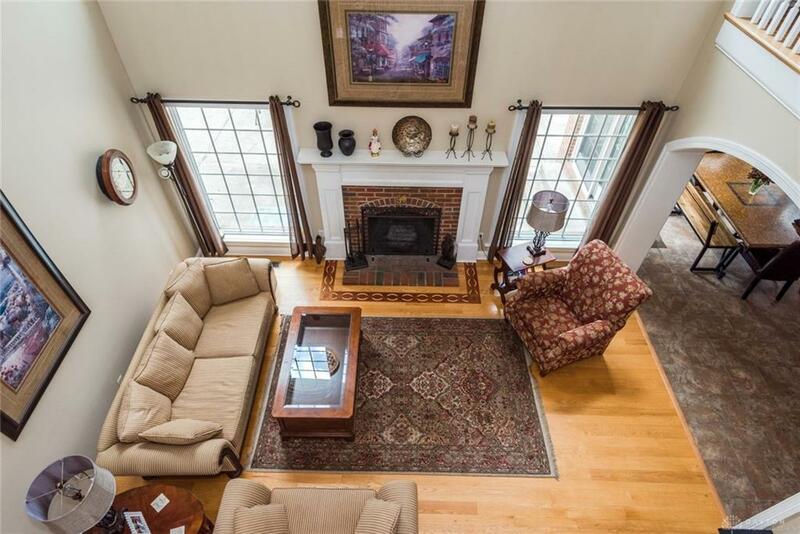 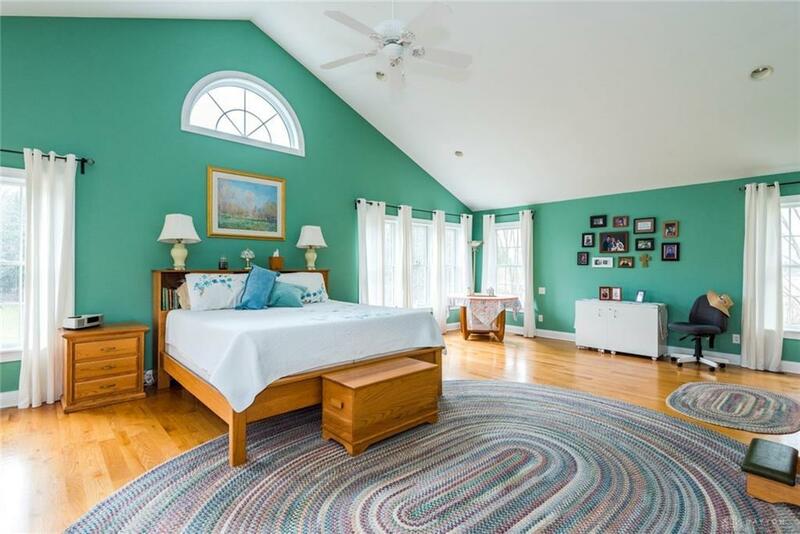 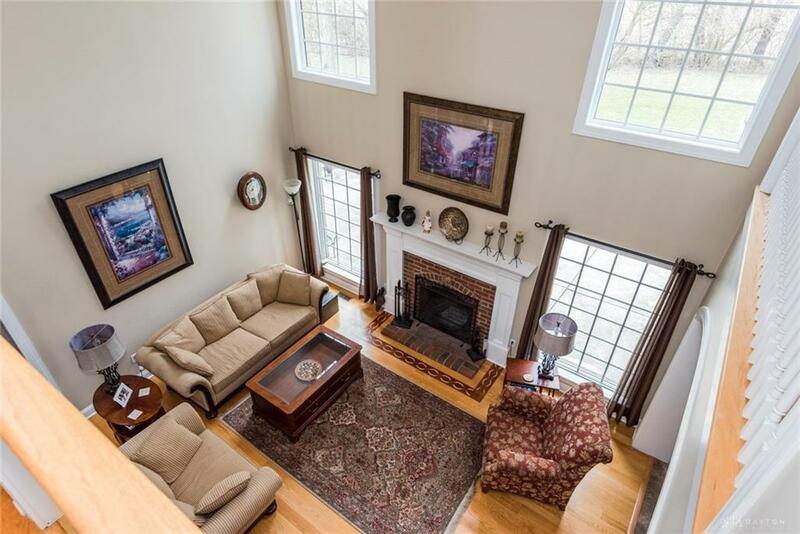 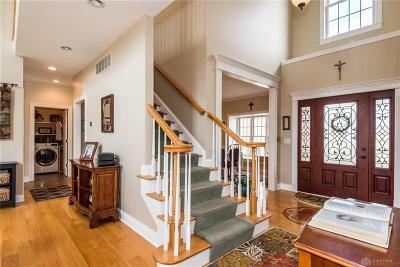 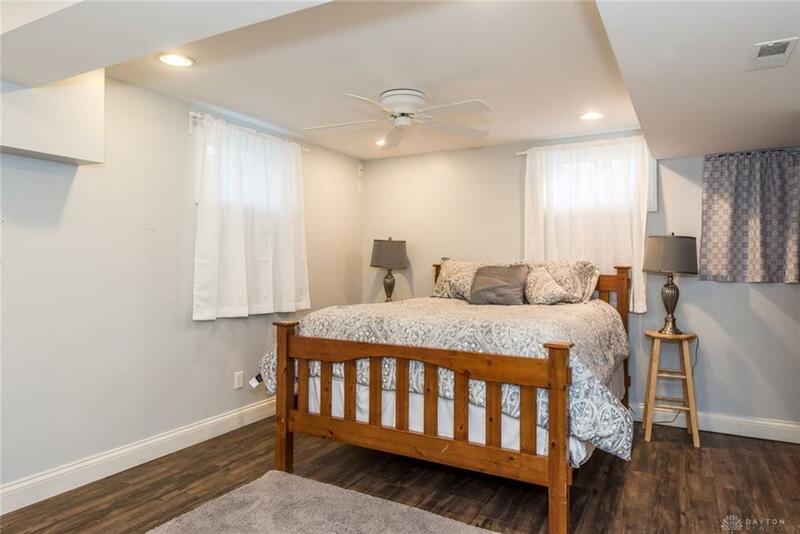 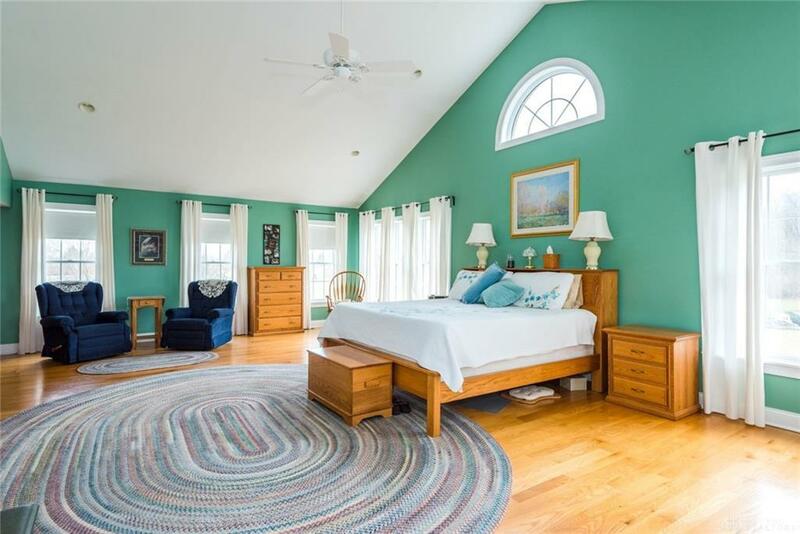 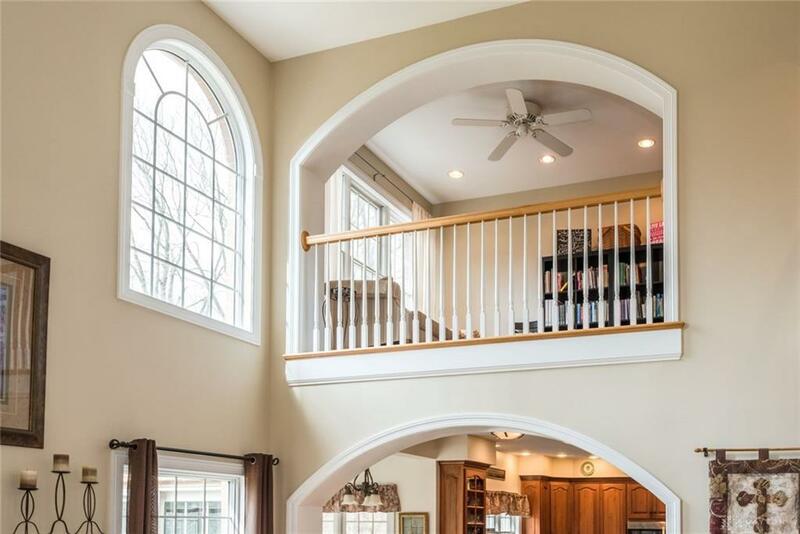 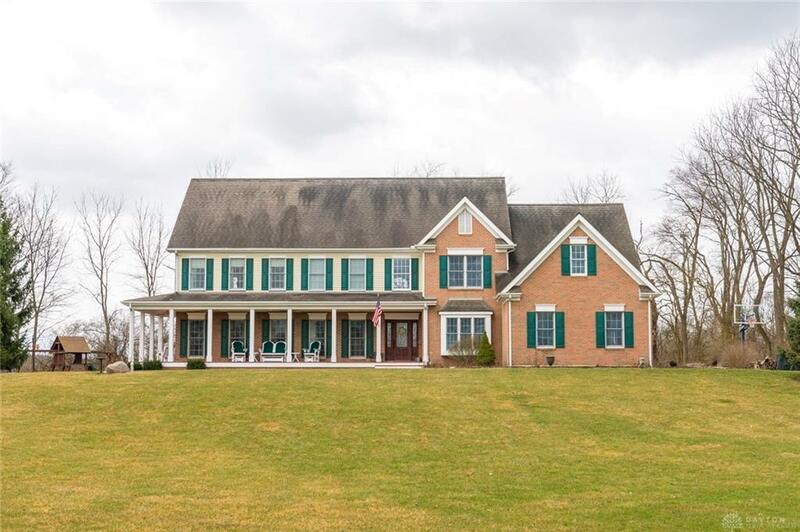 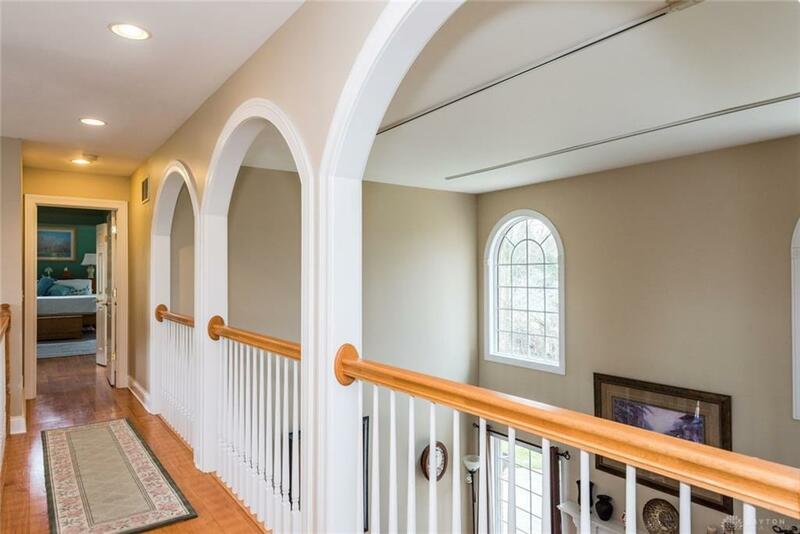 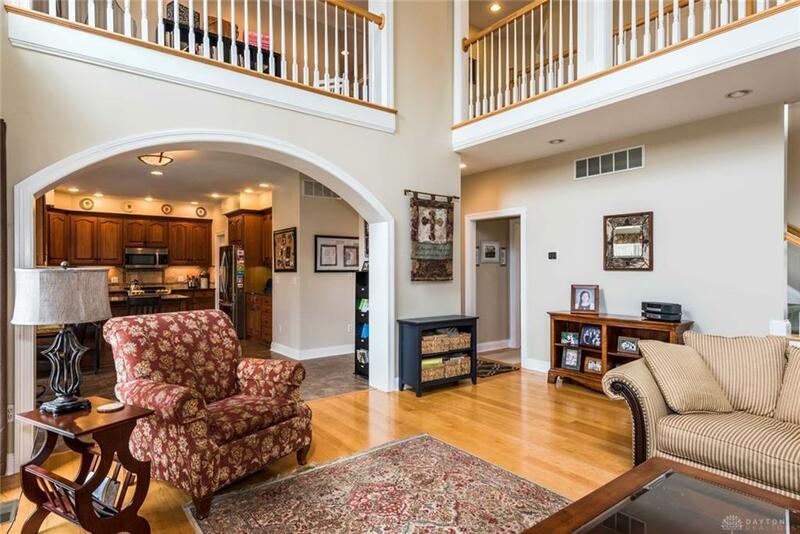 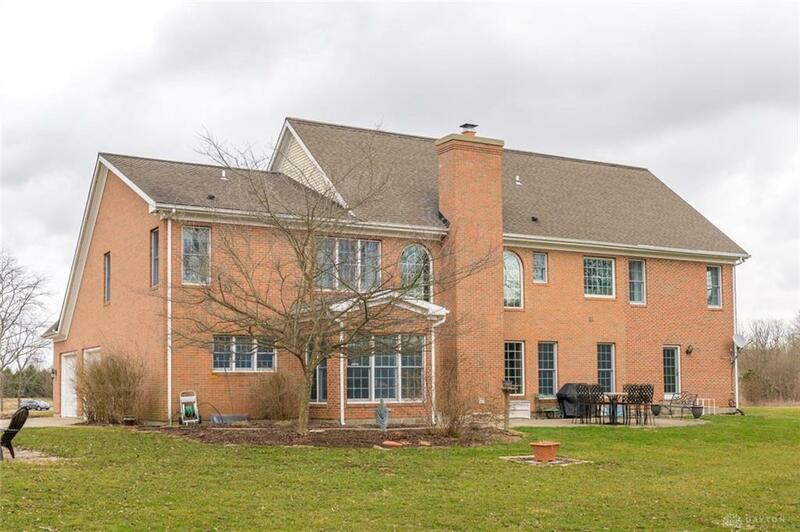 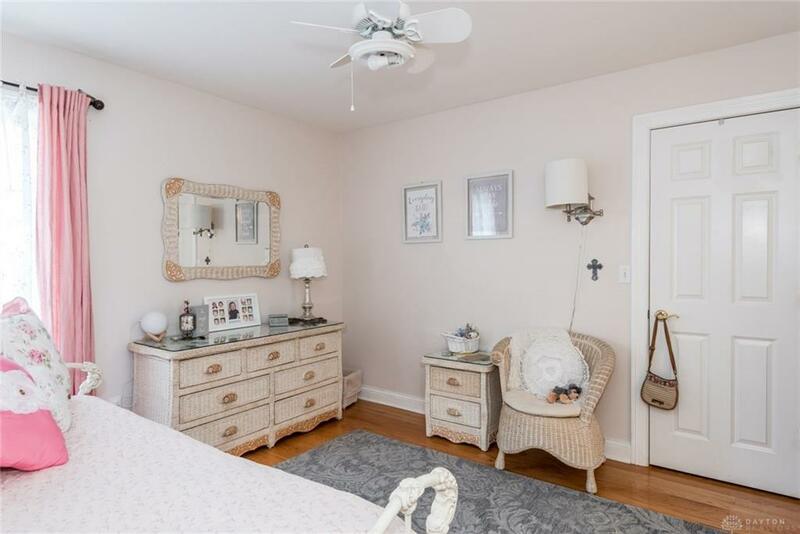 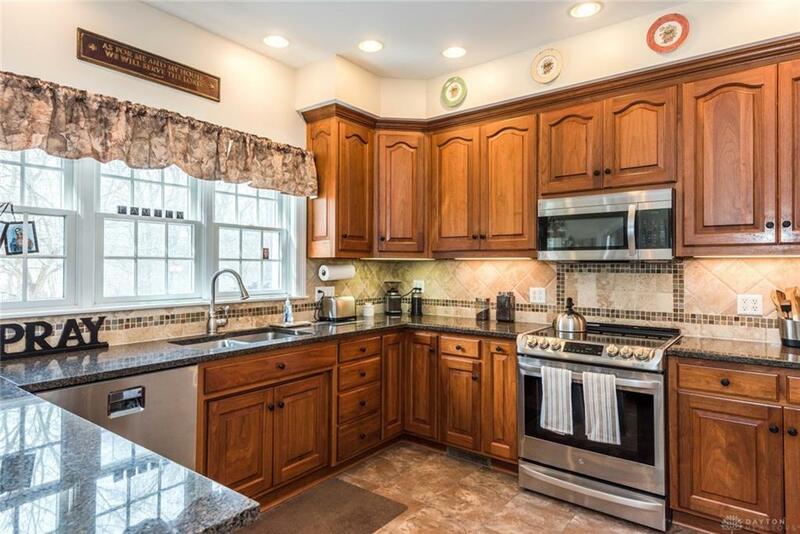 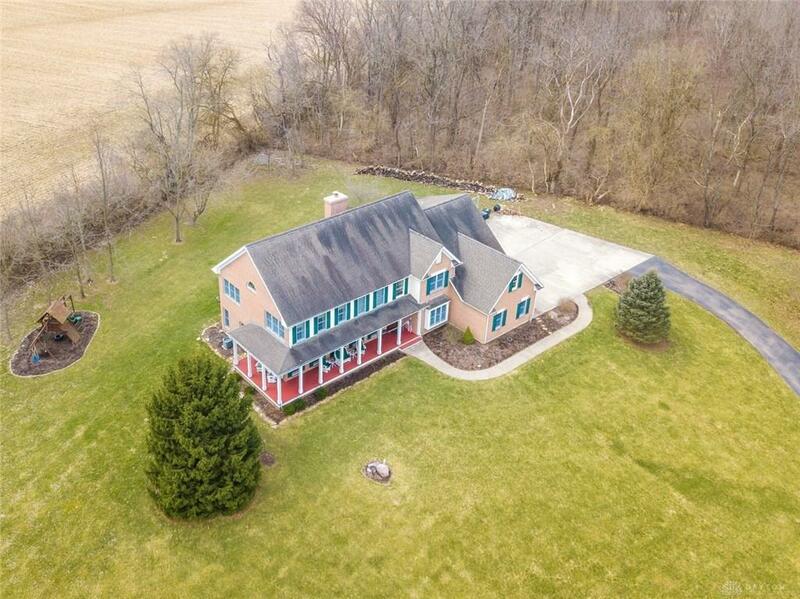 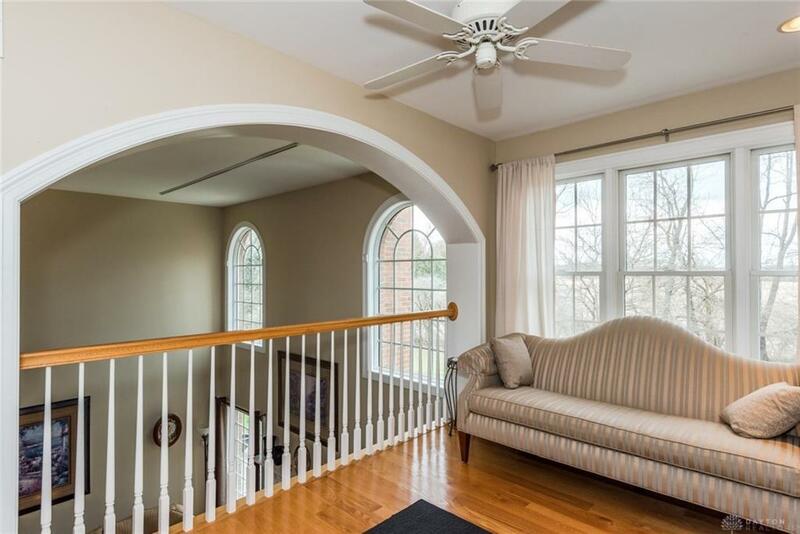 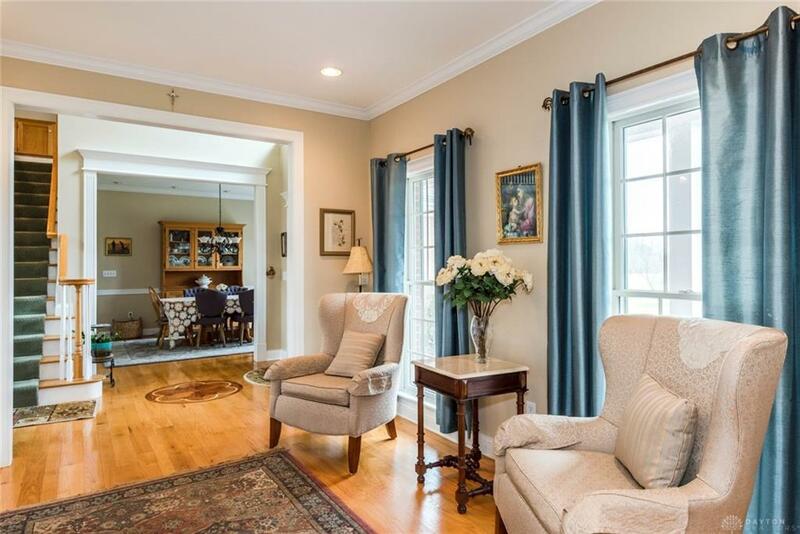 You won’t believe how lovely this 5 BR 4 ½ bath home is. 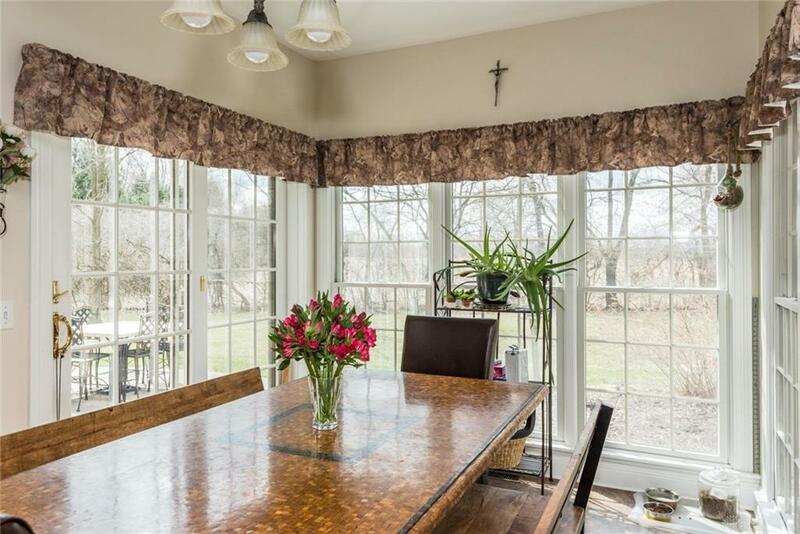 It is open & bright. 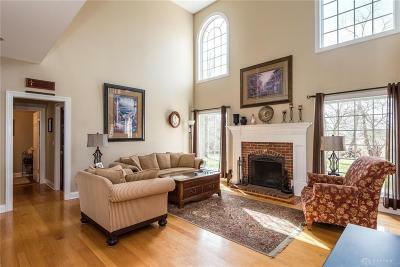 Where to begin – from the custom inlaid hardwood floors to the high ceilings & comfortable flow of the home. 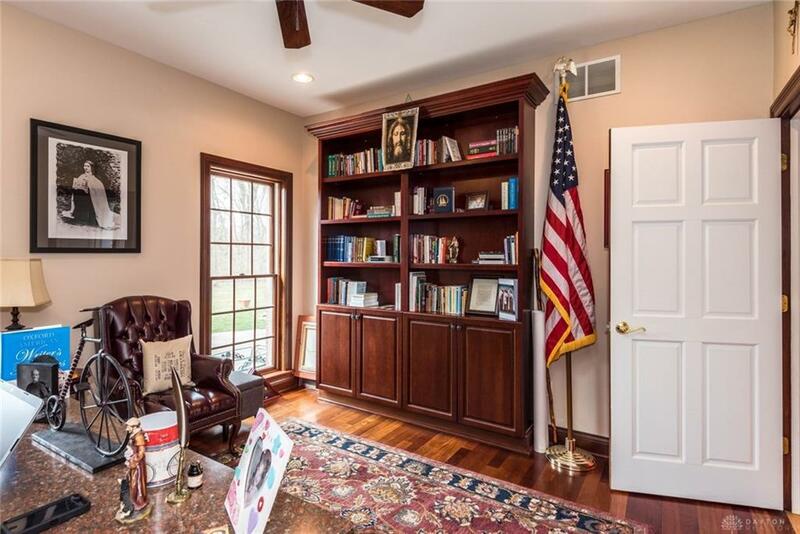 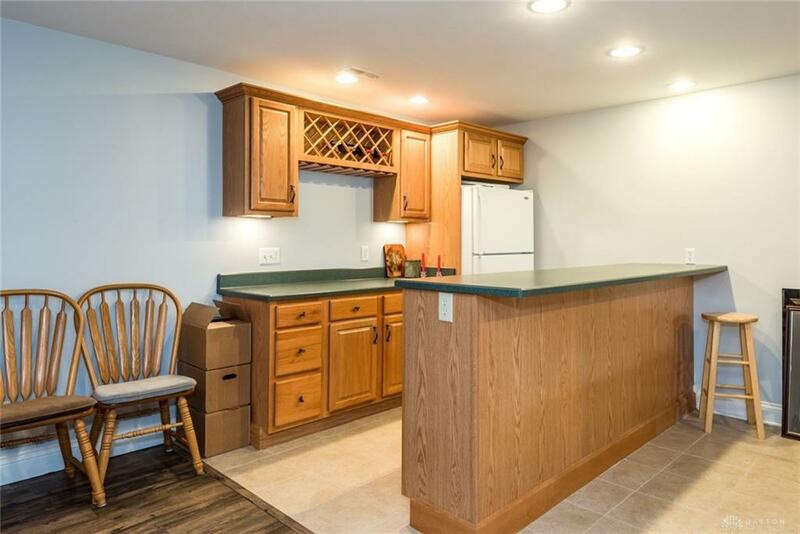 There is a library, living room, great room, office with custom Cherry desk and built ins, laundry room & kitchen New stove, Refrig & Microwave w/ breakfast area. 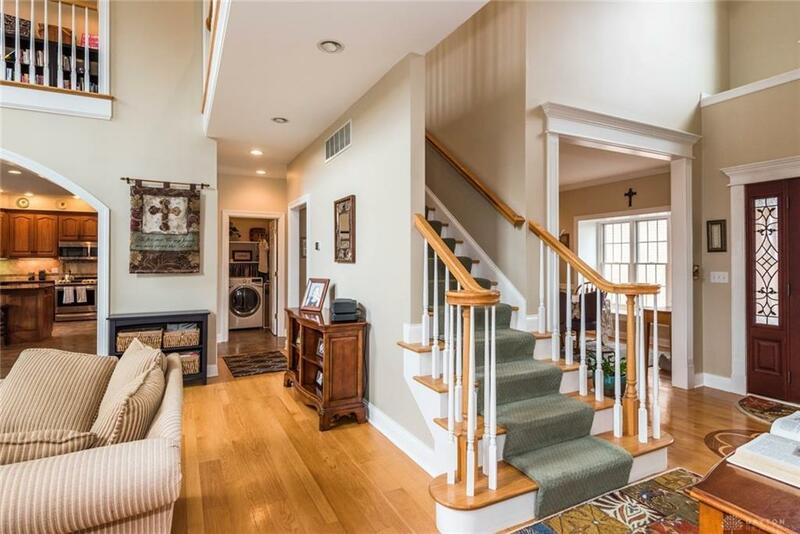 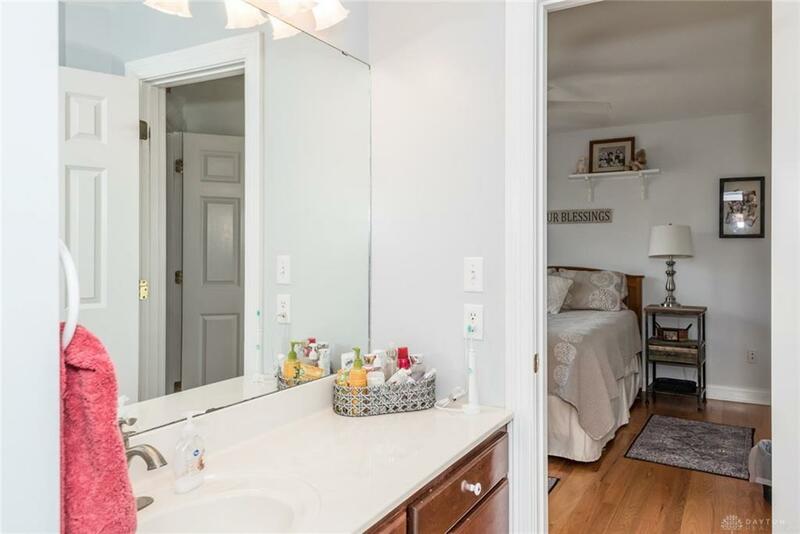 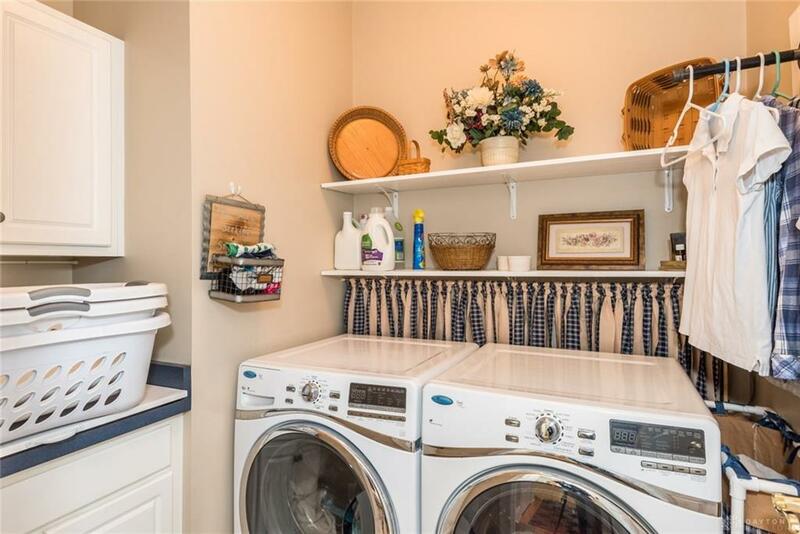 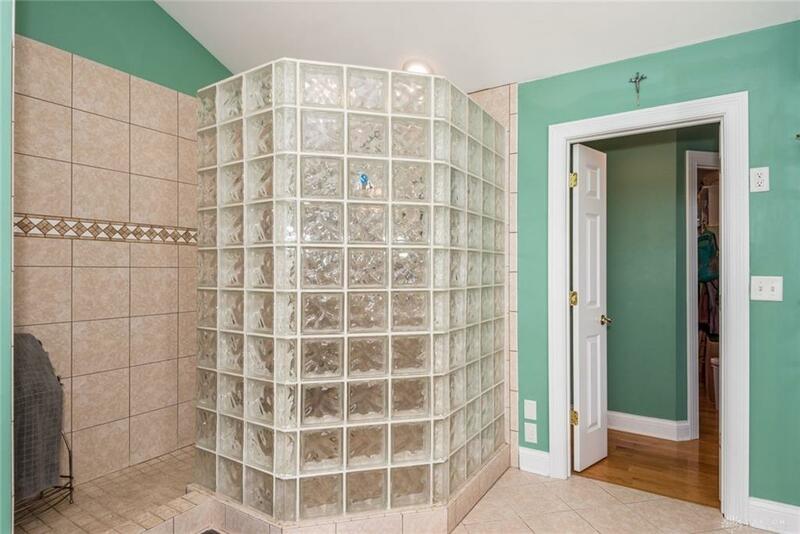 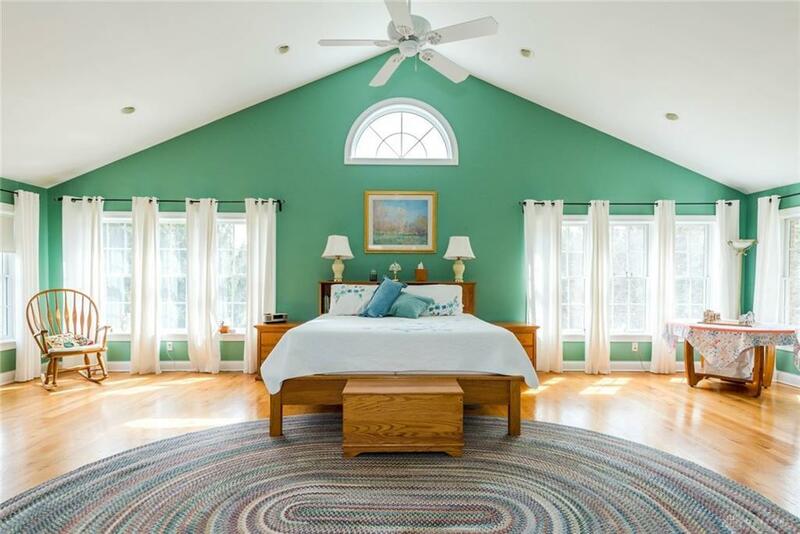 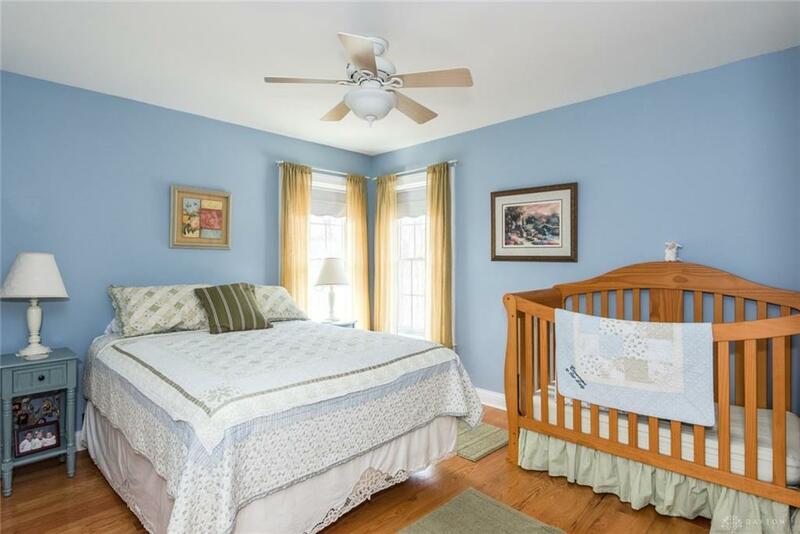 Upstairs – wait until you see the master suite w/ HUGE closet and fantastic bath. 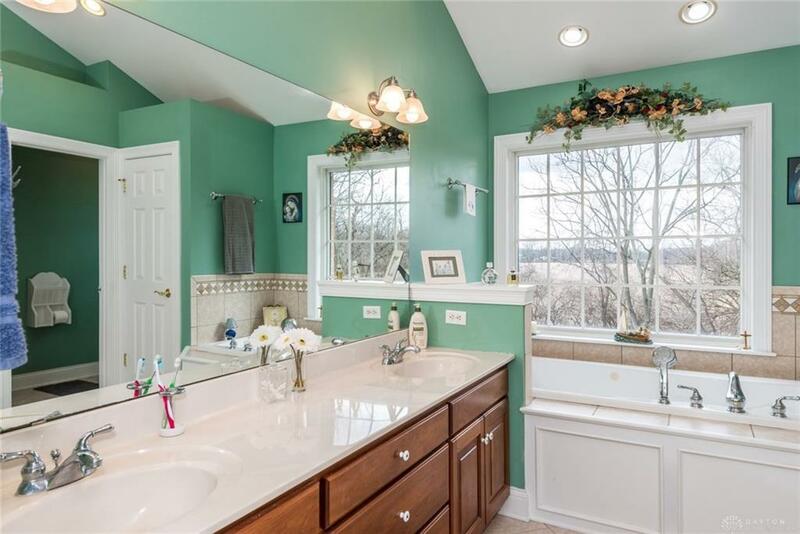 There are scenic views out 3 directions! 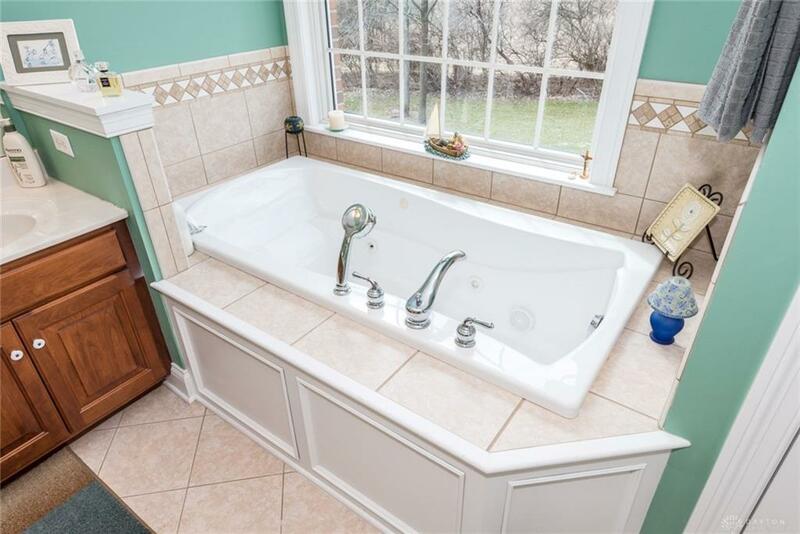 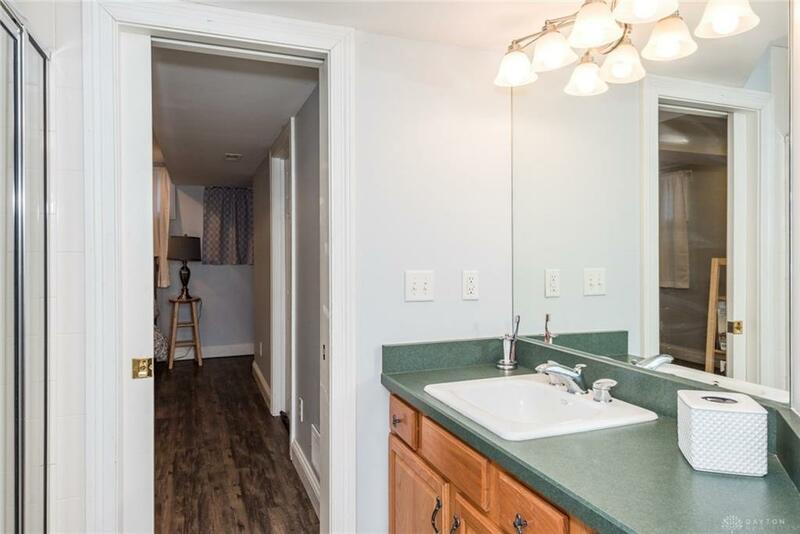 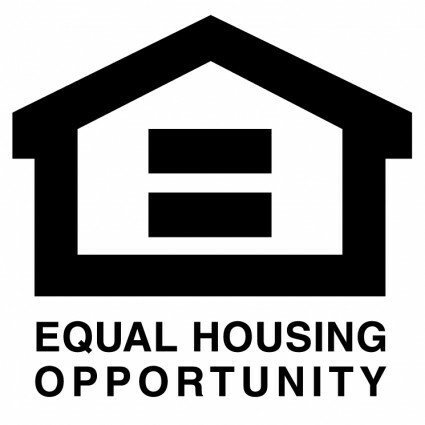 Plus 3 more bedrooms – 1 has its own full bath the other 2 share a Jack & Jill bath. 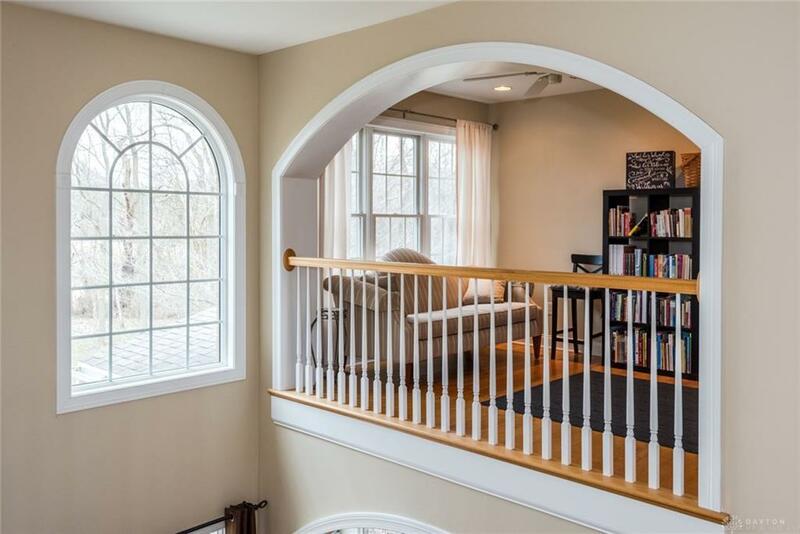 There is a large study / seating area for reading overlooks the great room. 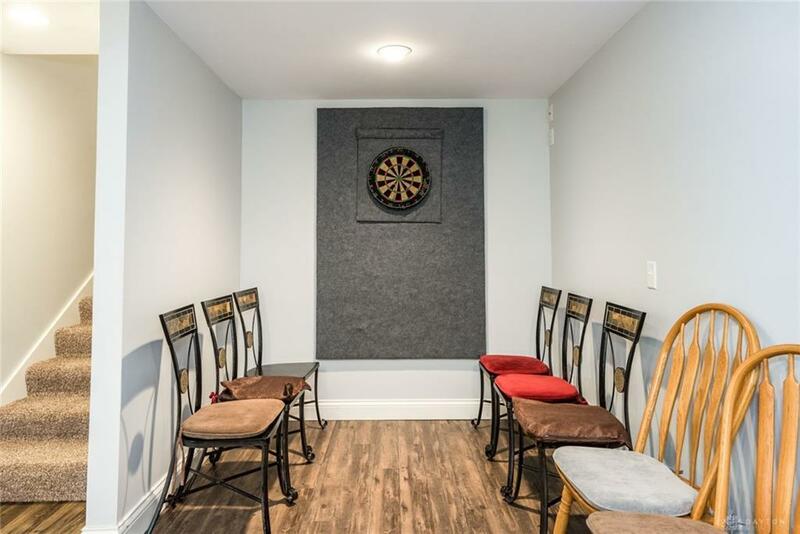 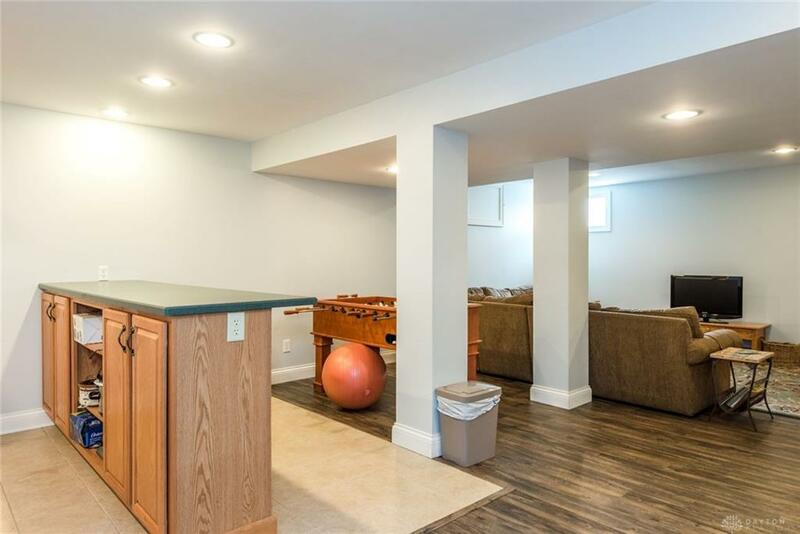 In the full basement there is a bar area, dart board and family room area perfect for a pool table & game night. 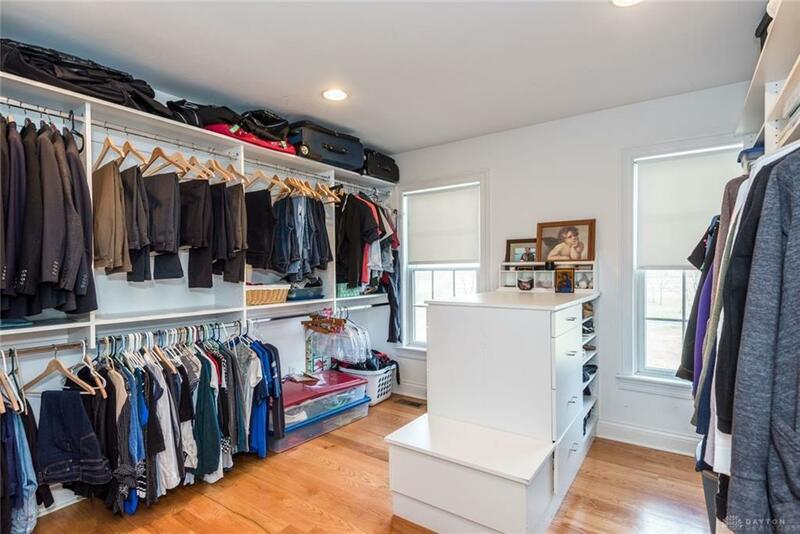 Another bedroom and full bath plus storage room. 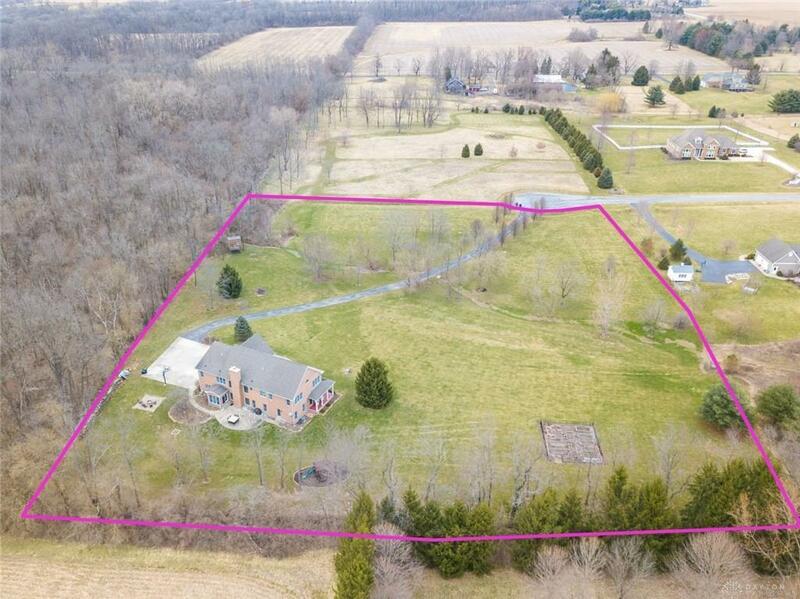 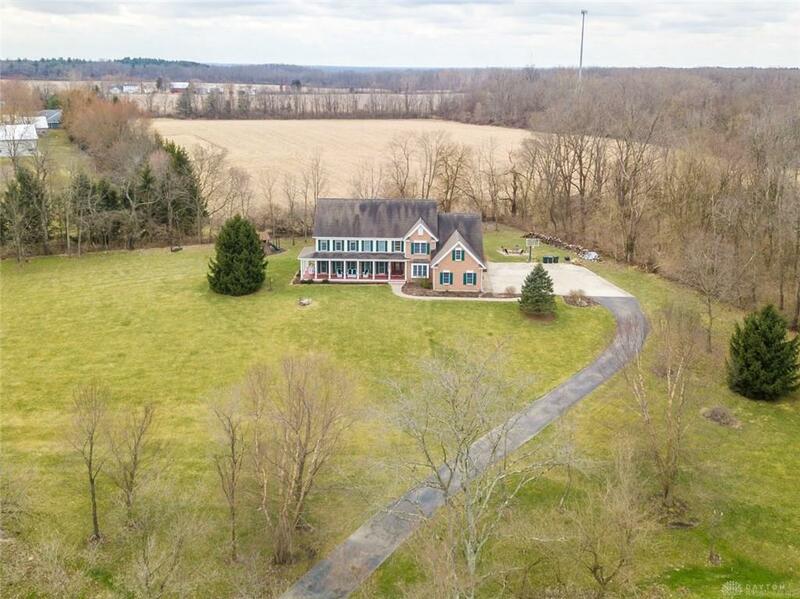 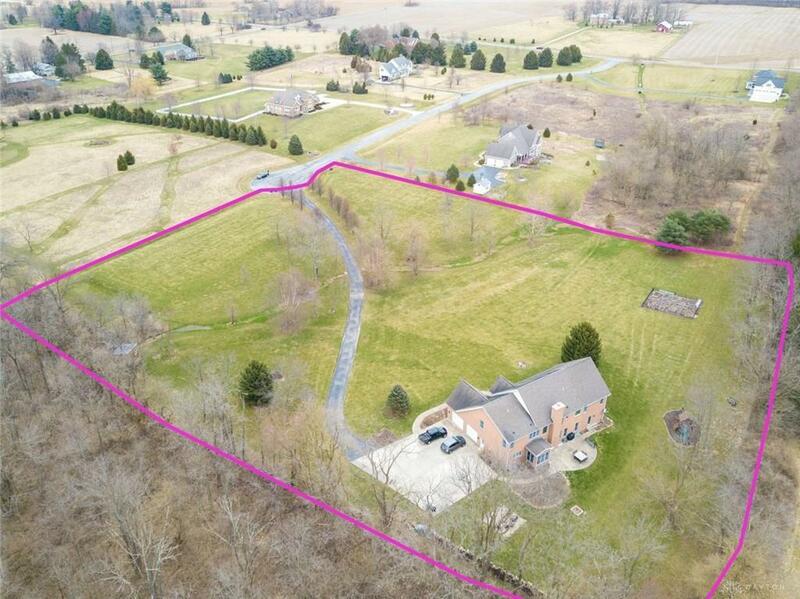 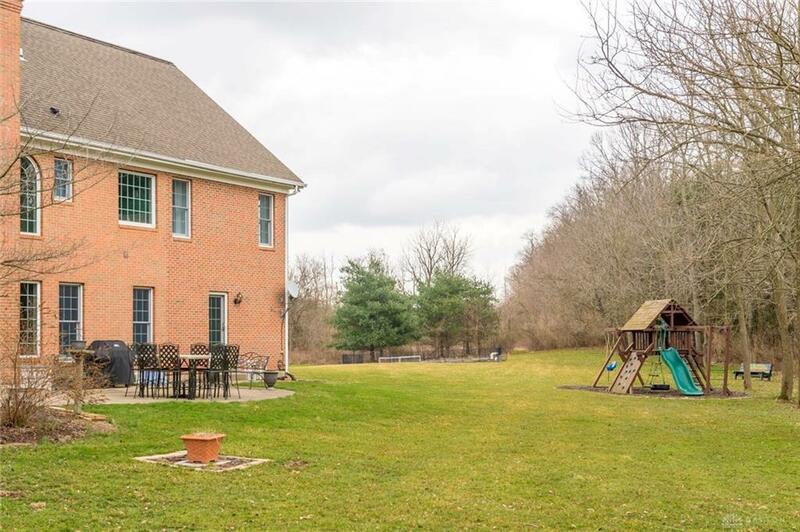 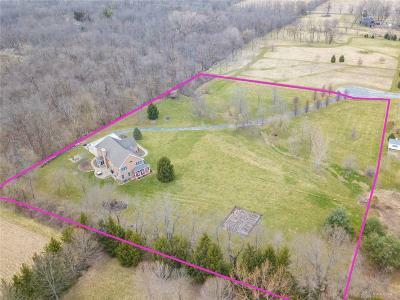 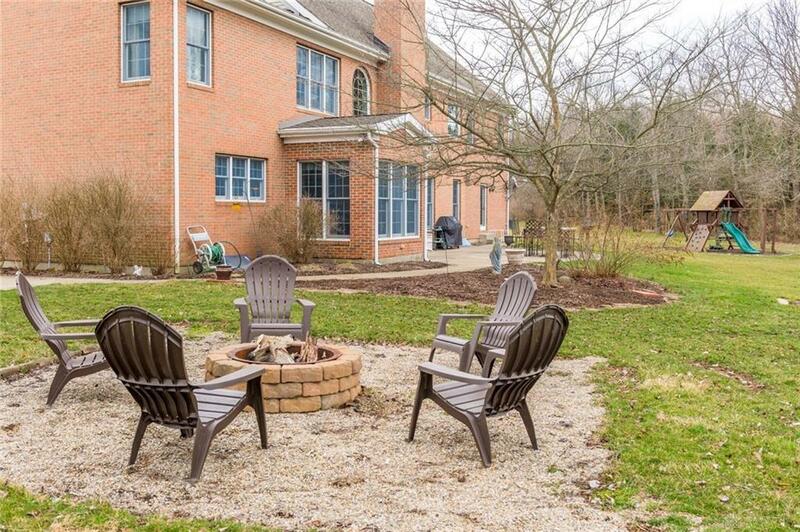 5 Acre bird Sanctuary next door – PRIVACY all around!